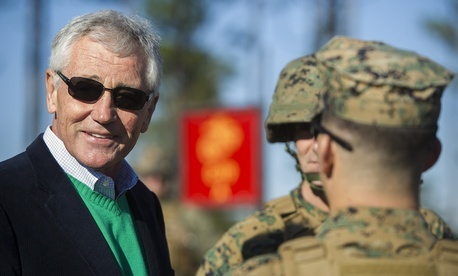 The latest Cabinet member to resign, Defense Secretary Chuck Hagel needn't let the door hit him on the way out. Although his history of kitchen accidents doesn't bode well for him. Plus: Obama plays golf with former New York Yankees shortstop Derek Jeter. Thanksgiving could run afoul of the latest turkey shortage. And is Hillary Clinton already detaching herself from the chief executive in preparation for a 2016 run?